My first requirement for a family game is for it to be fun. Truly fun — for the whole family. 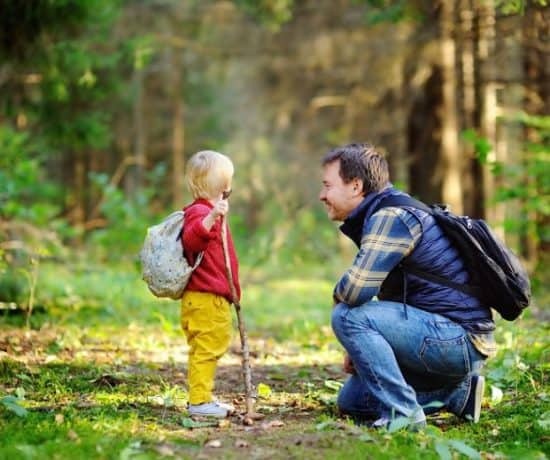 If you are playing games with toddlers and preschoolers, you may have to shift your expectations of fun– but all the games here offer at least a pleasant way to pass some time. 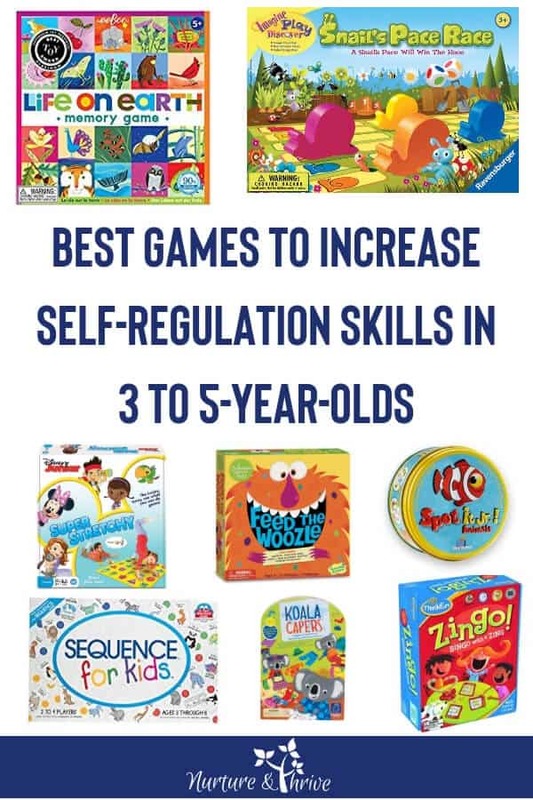 My second requirement is that they will boost my child’s self-regulation skills — not because I am some high-achieving mom, but because games are a great way for kids to practice these skills and while most games naturally do this, some do it better than others. Games are a great way for kids to practice skills like remembering rules, paying attention, taking turns, flexible thinking, and inhibiting impulses — all skills related to self-regulation. Between the ages of 3 and 5 are the prime years for the development of self-regulation. Playing games — even simple games like matching, I spy, Simon Says, will help develop those skills. Here are some of my favorites. Related: Best Games for Developing Executive Function in 5-7 Year Olds. The basic premise of this game is to feed the hungry Wozzle his funny snacks (fried socks anyone?) by carrying the snack on a spoon without dropping them. There is also a spinner that tells how to walk to the Wozzle: hula dance, act crazy, march etc. 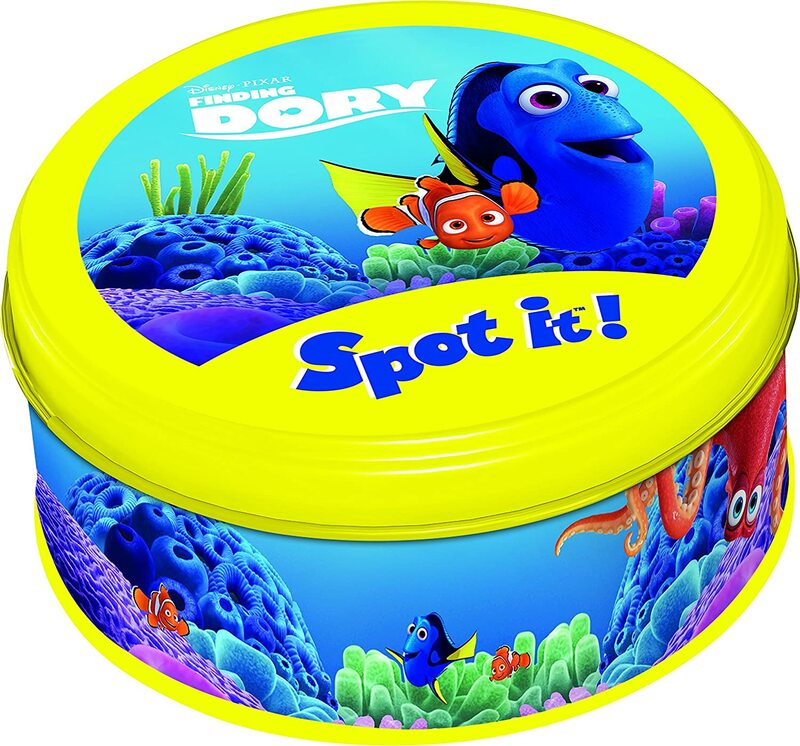 Kids love this game because it’s funny– they love the silly snacks and the silly movements. And I love it because it is a cooperative rather than competitive game and also because it asks children to suppress impulses– they are restricting movement, controlling movement, taking turns (always a challenge), making choices, and learning the steps of the game. All of these activities foster self-regulation in a fun and silly way that the whole family can enjoy. This is my favorite of the bunch. I don’t know if the developers did this on purpose, but this game is basically a fun version of the cognitive regulation tasks we would do in our studies on the development of regulation skills. 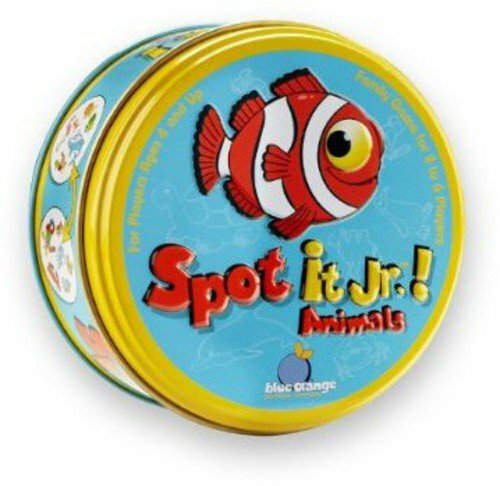 The premise of this game is to find the matching animals on any two cards– every card has a match. The catch is, each card has animals of different sizes. If you happen to get two cards where the matching animal is large, it is easy– but most often the match is between two different sized animals. The brain automatically focuses on the large animals and the animals with the most contrasting patterns. Thus, children have to suppress that first impulse of the brain and search harder. They also learn that there are multiple “rules” in this game, it isn’t always the big animals that match for example. This means they have to practice switching rules from card to card. This is a cognitive regulation skill that develops slowly from age 3 to 5. This game was hard for my son when we first got it just shy of 3 years old. When we first started, I literally stacked the deck– I put all the easier matches first so he would get the hang of it. We see this in the studies as well, younger kids make more mistakes and have a slower reaction time than older kids. This is a great game to keep in your bag to bring out while waiting at a restaurant and it’s an awesome game to help them practice a skill they are developing during this time. Update: We still play this game, especially at restaurants when we are waiting for the food to come. My now 5-year-old can play this much faster now and we have a more challenging version. Matching games are great for cognitive self-regulation because children are practicing holding several items of thought in mind, focused attention, following rules (only turning over two tiles at a time is challenging! ), and practicing sorting objects. We love this one, Hape – Early Explorer – Animals Wooden Memory Game and this one, Eeboo Life on Earth Matching Game. Both are beautiful and very well made and sturdy for little hands. 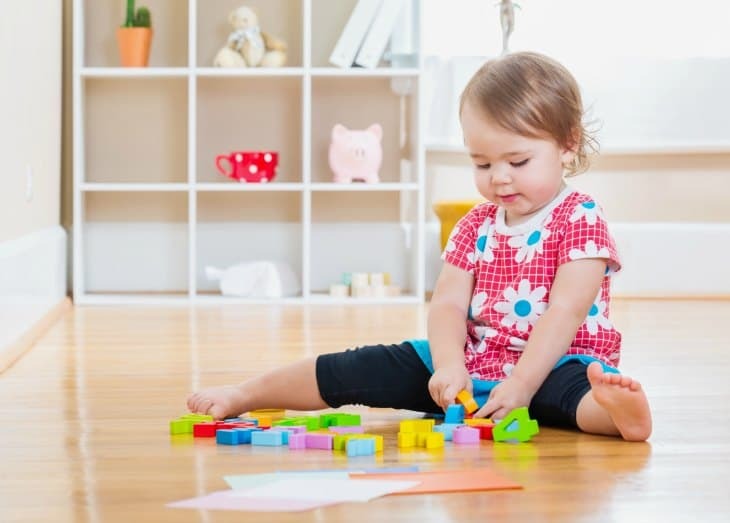 A variation on matching is to use the tiles, or for younger kids, use a few of their stuffed animals and have a scavenger hunt around the house. You and your child take turns hiding the stuffed animals in a room of the house. While you hide your little one has to wait, inhibit peeking and regulate excitement. When they hide, they have to plan, practice memory skills, and innovation. At first, they may copy your exact hiding places, but after a while, they will start to be more creative. I also love this series of matching games from educational insights. These are fun matching games with a plot! Help the Koala family get dressed for their vacation, but look out for the underwear, help Frankie avoid food truck disaster by matching foods, and the raccoons have a costume party. 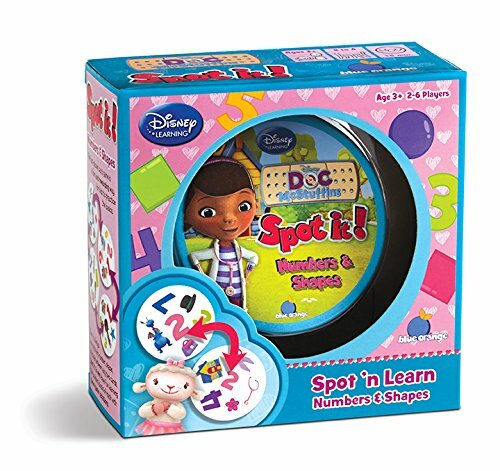 These games are fun, but also help children develop pattern recognition, matching, and problem-solving skills. This is a fun matching type of game for older kids. A combination of matching and bingo it is a fast pace game where kids match tiles with an image and word to their bingo card. Kids will build language skills and several self-regulation skills — including inhibition and cognitive switching. This one is a great introduction to a true board game. Kids don’t have to read to play this one, however, I would say it is one of the more challenging games. The fun thing is that while it does take some strategy, kids can win as easily as adults with some practice. The basic premise is to get 4 in a row. There is a “wild” card and a card that will allow you to take away someone else’s chip. This is a great game for the whole family to play and will help your preschooler practice taking turns, short-term memory, planning, prioritizing and more. One hard lesson to learn is how to be a good loser. Many kids are not ready for that quite yet. You can still develop a habit of fun game nights and build skills like planning, taking turns, testing strategies, and also working together as a team! Cooperative games have the advantage of working together towards some goal. There are no losers — or everyone loses together. If you dread family game night because you know your little one can’t handle defeat — these are the games for you. Think twister, but for kids! The game focuses on control of body and movement — necessary self-regulation skills. Learning to control one’s body in space is a building block for self-regulation. Also, a good lesson in personal space too! 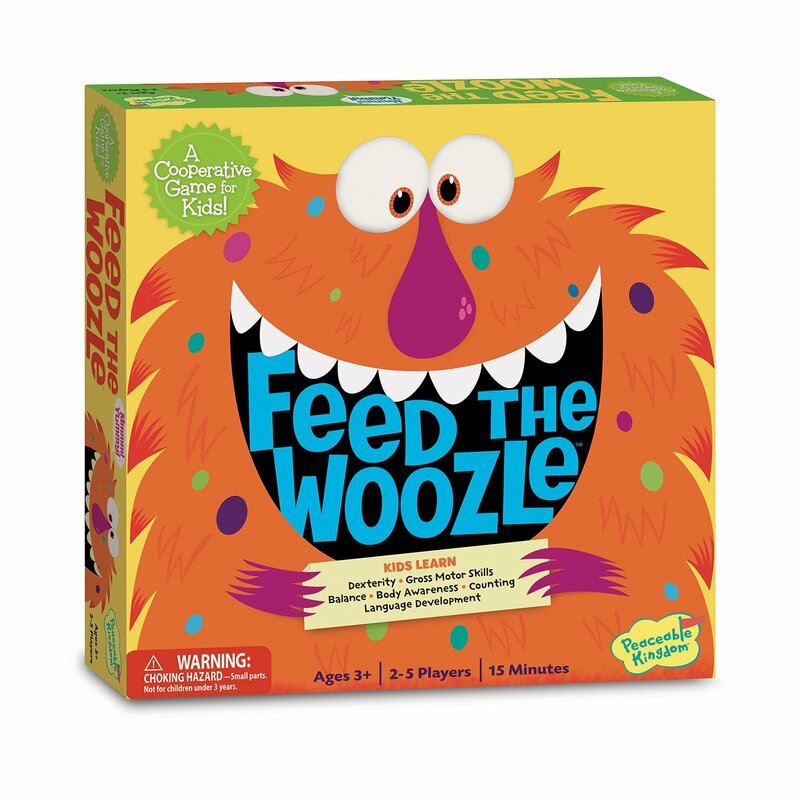 It is an active game, good for wiggly kids. This one is like Yahtzee, but for kids with color dice instead of number dice. This is a great game for increasing cognitive flexibility — thinking about multiple concepts and switching between them. The points are tallied based on how many matches you have– but it how the dice can match varies, you can have 2 pair, three of a kind, full house, four of a kind or 5 of a kind. So, children have to be able to count the colors, match the colors, decide which match they have and which die to roll again. Just click on the link to get the printables for this game! There you have it, those are our favorites! What games does your family or classroom love? Leave a comment and let me know — I am always on the look-out for fun games! Great ideas for little ones! I love games that actually help teach skills. Me too Amy! My almost 5 year old is really getting into games in a whole new way. Fun for the whole family! Thank you! And yes, turn taking is huge for self-regulation. Hope you have fun with that one. When my brother was here visiting, we got some really good laughs with him playing along. Hilarious!